The latest Android O preview version, has been relaesed to be downloaded.This happens to be the first Google Android O developer's preview version, made available for the public to download for free. As the name implies, it is actually developed for mainly developers, for preview. It can also be downloaded by any other who want to have it. But note, if you are downloading, just have it in mind that you might experience bugs, instability and as well as, performance issues. That's by way, since it has something good to offer, so it's not a problem anyway. Currently, Android O developer's preview is ready for download for Users with the following devices; Google Pixel, Google Pixel XL, Google Pixel C, Nexus 6P, Nexus 5X, and Nexus Player. 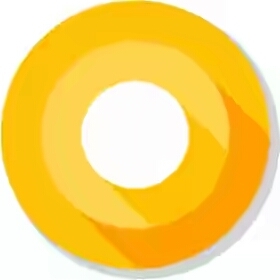 Now, to install the Android O developer's preview on your smartphone, First download the system images through the first provided link below. And you can as well check the release notes, which include list of bugs and someother issues you are likely to encounter from the second provided link below. For now, there is no actual or finalised name for this Android O, but as you may have it, speculations has it that it might be given or called Android 8.0 Oreo. For a step Further, below comes the list of new features all should be expecting from the Android O. Are you thinking what am thinking? For the fact that Google keeps rolling out the developer's preview for this Android O, it means from now on, let all be expecting the official version release from them. As it won't take so much long for the latest official version to be rolled out. Stay tuned for the latest update.